A 5.3-million-dollar bicycle bridge on the Federation Trail near Yarraville will close on Monday 16 July, 2018, to make way for the Andrews Government’s destructive West Gate Tunnel elevated tollway. The bicycle bridge, which provides the only safe route from Melbourne’s industrial west towards the Maribyrnong River Trail, was opened in 2014 before any whisper of the new tollway was known to the public. The new road will widen the West Gate Freeway to 12 lanes, with some of those lanes taking the place of the new bicycle path. A realigned path connecting with the new bridge will not be open until 2022. The first option is the route identified by the West Gate Tunnel project. This is the most direct detour, but the route through the West Gate Freeway interchange with Millers Road would be enough to deter even a determined bicyclist from ever travelling that way again. The official detour also dumps bicyclists at the (soon to be) former city end of the Federation Trail. The trail is incomplete and bicyclists must find their own way once they have crossed the (soon to be closed) bridge, so it does not make sense to dump users of the trail in the middle of nowhere rather than provide a route to connect with the Maribyrnong River Trail. This detour (see here) utilises an overpass between Richards Court and Rosala Avenue. The map I have provided also guides users of this route towards the Maribyrning River Trail rather than dumping trail users at the end of an incomplete path. For note, this route interacts with the West Gate Freeway via the overpass. Work on the freeway expansion may limit access at times. Also, this route utilises Blackshaws Road, which is not the most comfortable for bicycling, but the road is quieter than some of the busy trucking routes in the west. This detour (see here) utilises the (incomplete) Kororoit Creek Trail from the Federation Trail to Blackshaws Road. The map I have provided also guides users of this route towards the Maribyrning River Trail rather than dumping trail users at the end of an incomplete path. For note, this route interacts with the West Gate Freeway via an underpass along the Kororoit Creek Trail. Work on the freeway expansion may limit access at times. Also, this route utilises Blackshaws Road, which is not the most comfortable for bicycling, but the road is quieter than some of the busy trucking routes in the west. This detour (see here) abandons the Federation Trail entirely and provides a route for those who want to cycle all the way from Werribee or Hoppers Crossing to the Maribyrnong River Trail. The route utilises a combination of roads and trails, including the Bay Trail through Altona. At 27.5 kilometres, it really could be quite a fun ride. For note, this route utilises roads that have wide paths along the side, specifically Sneydes Road. These paths appear to be intended for shared use, however, few are actually signed that way. So I leave it up to you to choose whether to ride on the wide path or on the road. The West Gate Tunnel will actually complete the Federation Trail at the city end, so bicyclists will benefit eventually, however, it is still disappointing that so little foresight is applied to infrastructure planning in Victoria. It is also disappointing that safe bicycle infrastructure is so often only provided alongside roadway expansion projects rather than as standalone initiatives aimed at promoting bicycling. This also means that cycleways are often only built beside new bypass roads, which is not where a commuter bicyclist is likely to want to ride. Homes are not on the bypass, neither are the shops, schools, employment. They are in town, with the people, and that is where a commuter bicyclist is likely to want to travel. This post has been updated to reflect that the four-year-old bicycle bridge will not be demolished. Instead the path leading to it will be demolished and a new path connecting to the bridge will not be open until 2022. A bus full of Sunshine? Accessing Melbourne Airport by public transport from Melbourne’s west is a pain. It really should not be difficult since the airport is actually in Melbourne’s (north-) west, but there is no easy bus from western transport hubs, not even from Sunshine which services a Metro rail corridor and two (potentially three) V/Line country rail routes. For decades now the community has been calling for a train to the airport but, probably due to a whole range of factors, it is yet to be built. However, if it were to be built it would most likely run via Sunshine as seen in Public Transport Victoria’s Network Development Plan. There is no reason why the potential rail route could not be serviced right now by a direct and frequent bus, at least one every 20 minutes. It could run directly north from Sunshine Station using McIntyre Road, the Western Ring Road and the new Airport Drive extension. The route is about 16 kilometres long according to Google Maps and would take 20 to 30 minutes depending on traffic and passenger loading. The route need not be express and could also service locals in Sunshine North and airport workers stationed near Airport and Melrose drives. It would also work best as a myki ticketed service so users would not be discouraged by a requirement for multiple tickets transferring between train and bus. The bus would provide reasonably easy access to the Airport from Bendigo, Castlemaine, Kyneton, Woodend and Gisborne in the state’s north-west, but only if trains on the Bendigo Line stop at Sunshine which none currently do. The bus would also provide access from Ballarat, Ballan, Bacchus Marsh and Melton heading directly west, as well as, and probably most usefully, the suburbs of Geelong as well as Lara and Tarniet in the south-west. Everyone travelling from these places would otherwise need to travel all the way into Melbourne and use the costly Sky Bus service, use often inconvenient once-a-day airport shuttle busses from their local town or get a friend or family member to drive them to the airport. If you think this is a good idea let your member of state parliament know and contact PTV, too. I have always known that Melbourne’s rail system is a bit confusing to new users due to the irregularity between line names and the ultimate destination of the train. This was never really a problem for me because I have memorised all the places which Melbourne trains terminate (and there’s quite a few in peak that bear no resemblance to the line name), but when I was trying to tell my Dad how to get to Watsonia Station on the weekend I hit a hurdle. Watsonia is on the Hurstbridge line and, due to the way the line is engineered, not all Hurstbridge line trains can go all the way to Hurstbridge. 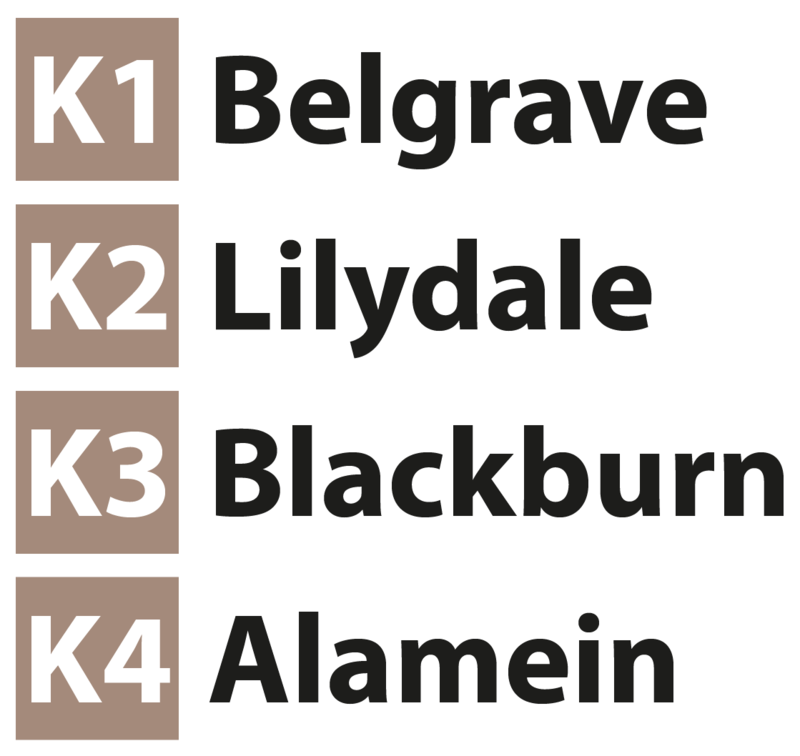 Instead Metro alternate the terminus between Hurstbridge, Eltham, Greensborough and Macleod. I couldn’t expect my Dad to remember all of those names so I had to look up a train that he would probably connect with and told him just to look for that one. Since not all visitors to Melbourne have my telephone number, the above solution is just not reasonable, but clearly identifying the lines with a letter (and number in some circumstances) would be. 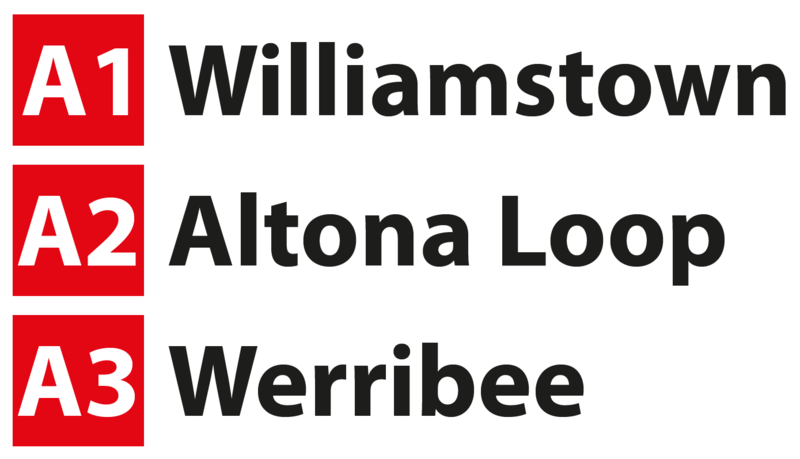 I decided it would be best to letter the lines alphabetically and clockwise starting with Williamstown. 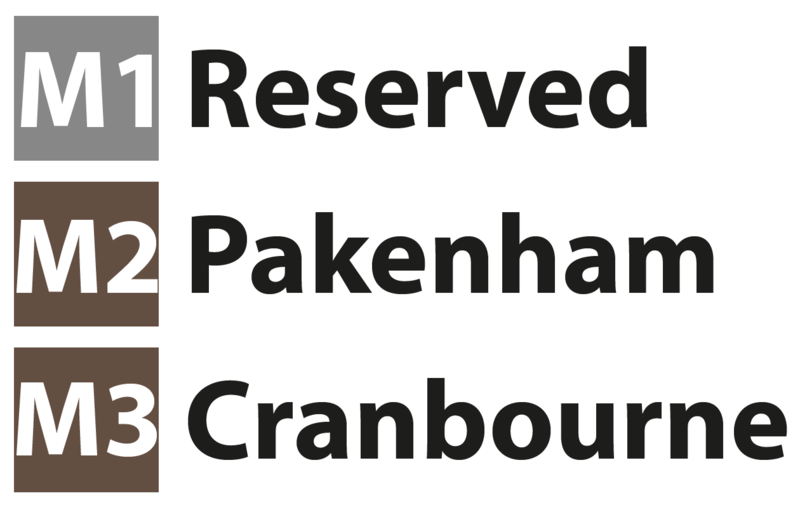 This is simpler and easier than line-significant lettering (for example; S for Sunbury, F for Frankston) because some lines start with the same letter as other lines. 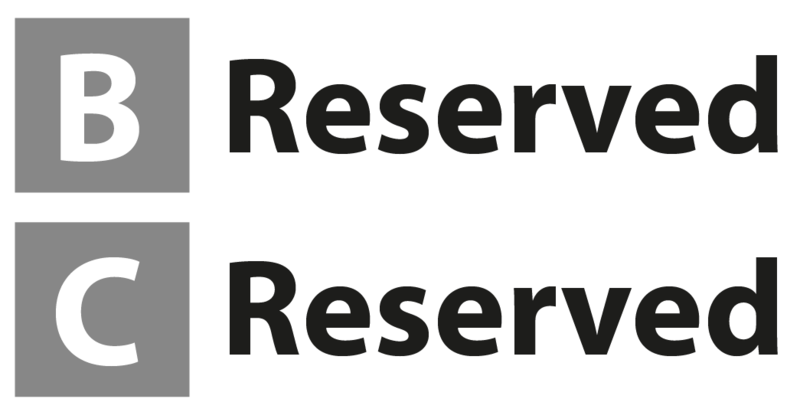 This also removes the need to re-letter a line if the main terminus is changed. This first example also showcases the use of numbers and letters. I thought it would make sense that lines which share a significant part of their route should also share a letter with the ultimate terminus identified by a number. This allows someone travelling to Scienceworks, for example, to be told to catch “any A train and hop off at Spotswood”. But I should note that most Werribee trains run express through Spotswood in peak. Placeholders for Geelong and Bacchus Marsh. Every second Sunbury line train terminates at Watergardens so identifying this line with a letter is extra useful. I was tempted not to reserve the letter E. Will we ever get a train to the airport? Some peak trains terminate at Broadmeadows. One day this line will be extended to Wallan if Labor let PTV do their job. Soon to be H for Mernda. I included Blackburn due to the somewhat consistent stopping pattern during the week on the Ringwood corridor. I actually forgot Glen Waverley. I had to re-letter the lines after it. Rowville could happen now with high capacity signalling from the city to Caulfield and quadruplication from Caulfield to Huntingdale. You would have to remove Frankston from the City Loop, though. Not all trains terminate at Frankston in peak. Not much to say about this one. Brighton Beach is nice. Imagine the letter as you see them above, always sitting to the left of the train’s destination on platform displays, train heads, signage and network maps. Congratulations on reading all this way. Your prize is the story of a UFO above Westall.